Just a year ago sports media reporters were writing that there was no ceiling on the NFL's ratings, and no sign that their growth would slow down. Well, don't we look like idiots. Those same reporters, including this one, are now stuck trying to figure out not how high the NFL's ratings can go, but why they've dropped 12% across the board this season. The problem is, everyone's trying to put their finger on a single cause. But it's not one issue -- as dominant as the NFL is in TV, there might not even be a single issue big enough to really hurt it -- it's a perfect storm of them happening all at once. The most obvious problem facing the NFL this season is the 2016 election. The reason the election is the most obvious problem is because we actually have data that shows it's taking viewers away. ESPN's "Monday Night Football" went up against the first presidential debate on September 26 -- the most watched debate in U.S. history, with more than 80 million viewers -- and brought in the program's lowest viewership in decades. On Sunday, up against the second presidential debate, NBC's "Sunday Night Football" saw a big drop off once the debate started and a rebound once it ended. The truth is, elections always hurt the NFL at least a little bit. This year looks worse than 2012 or 2008, but perhaps only because the league is coming off one of its best years in terms of viewership, so the pedestal from which it's falling is far higher. On the other hand, when you add the election on top of bad games and missing stars, you have a real problem. The NFL is, like any sports league, dependent on players and story lines to bring in casual viewers. The NFL likes to believe that the product viewers are tuning in to see is the uniform and not the players wearing it, but this year's numbers suggest that's not true. The fact that stars like Tom Brady, Tony Romo, Adrian Peterson, Cam Newton, J.J. Watt, and Peyton Manning have not been on TV for part or all of this season due to suspension, injury or retirement appears to be simply too much for the league and its broadcast partners to bear. The NFL's ratings are down this year, and that is thanks to multiple issues from the election to the league having to compete with its own popularity. Related: NFL's ratings fumble: Is it time to panic? The evidence for this? The regular Sunday afternoon games haven't seen nearly the drop in viewership that the marquee games have. Sunday afternoon's contests on Fox and CBS are down 4% and 5%, respectively. That's nothing compared to the prime time games like "Sunday Night Football," Thursday Night Football," and "Monday Night Football," which have fallen 13%, 16%, and 18%. It makes sense. On Sundays, people everywhere are happy to tune in to watch their own team play, but for the night games they have to be drawn in. And with all due respect, a "Thursday Night Football" opener of the New York Jets taking on the Buffalo Bills isn't bringing in a big audience outside the state of New York -- as evidenced by the 27% ratings drop compared to the previous year that it produced. There is also the possibility that the NFL has done at least some of this to itself. The league thought it was adding to its power by having three marquee games during the week, but by adding a Thursday night game, it may have done the opposite by creating a mediocre night game and taking away the chance to build excitement as it does when its games are more spread out. The league was able to avoid any negative consequences of over-saturation in seasons past because the product was very good; this year, not so much. This is an important story for the whole media business. Networks have shelled out billions for NFL broadcasting rights and TV's future is in many ways tied to America's most popular sport. 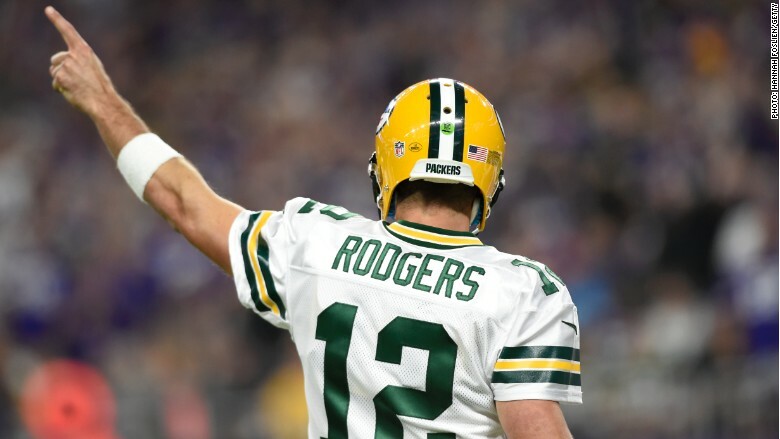 But while the ratings dips are setting off alarms and taking up column inches, it may be prudent for observers and media reporters like myself to heed the advice of Green Bay Packers quarterback Aaron Rodgers and "R-E-L-A-X," at least for a little while longer. The season is still young; there's plenty of NFL ratings stories yet to be written.